A popular Welsh language illustrated periodical that published poetry and articles on literature, current affairs and prominent Welshmen. 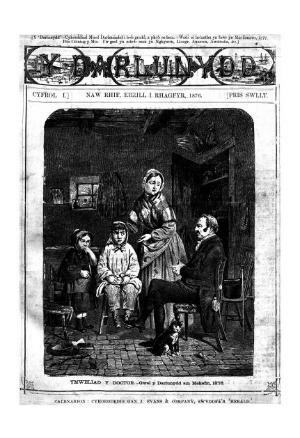 The periodical was edited by the journalist John Evans Jones (Y Cwilsyn Gwyn, 1839-1893). Originally a monthly periodical, it was published fortnightly in September 18897 and weekly in October 1879, before reverting to being a monthly the following month.